Organizations such as Rotary and our project partners ShelterBox may have an adult profile, but the momentum is growing among a younger generation to create the next big humanitarian wave. ShelterBox had its origins in the Rotary movement 18 years ago, and now is Rotary’s project partner in disaster relief. Rotary members leave a lasting legacy on the lives of young people, with a number of programs and activities to support them in unlocking their potential. ShelterBox also provides young professionals an opportunity to make a lasting impact on communities. ‘Do it! I would encourage any young person to look further into this.’ That is the rallying cry from Katelyn Winkworth, a young Australian who trained as a ShelterBox Response Team Volunteer to help families caught up in war or natural disaster. Great story here about ShelterBox and Rotary working in partnership ……..
Local Rotarians in countries affected by disasters often contribute vital support to ShelterBox responses, providing valuable points of contact for Response Teams through first-hand knowledge, introductions, logistical assistance, and vital links into communities. Throughout August 2018, a series of earthquakes struck the Island of Lombok in Indonesia killing more than 460 people and displacing around 400,000. Rotarian Ace Robin, the current president of The Rotary Club of Mataram in Lombok discussed how her club could help affected families. Through pre-existing contacts in Indonesia, ShelterBox was put in touch with Ace. The trustees of disaster relief charity ShelterBox have appointed James Sinclair Taylor as their new Chair. Formerly Vice Chair, James succeeded Dr Rob John OBE in December, having served on the trustee board since mid-2014. Charity law specialist James is a partner at Russell-Cooke Solicitors LLP, where he heads the firm’s charity and social business team. He is responsible for developing the work of the team and supporting a variety of charities, their boards and chief executives. Among many roles advising the third sector, James works as a consultant on governance mergers and other issues, and is the Chair of a housing association, trustee at several charities, and the Protector of the innovation fund Nesta. Speaking on his appointment, James said: ‘I was first drawn to support ShelterBox because it has a strikingly clear and effective vision – a world where no family is without shelter. ‘During a visit to Ecuador after the 2016 earthquake, I saw the evolving ShelterBox operations model in action. The earthquake had left many people in a state of profound shock and anxiety about the safety of their homes. I met two women who’d been sleeping on the ground outside their houses for two weeks, in fear of aftershocks. They didn’t dare go back inside. ShelterBox provided tarpaulins and tools, giving them a space to call home while they repaired their heavily damaged houses. James Sinclair Taylor meeting earthquake survivors in Ecuador. ‘Our teams really listen to families to find out what they need – and we offer an adaptable range of shelter and household essentials to meet those needs. ‘I would like to thank Dr Rob John for his years of service to the board, guiding ShelterBox through a phase of significant growth. Under his stewardship in 2018, we provided 210,000 people with shelter and other essentials after their lives were devastated by disaster. As families were sleeping in crowded schools and public buildings, without adequate space, privacy or supplies, having immediate emergency shelter was very important. 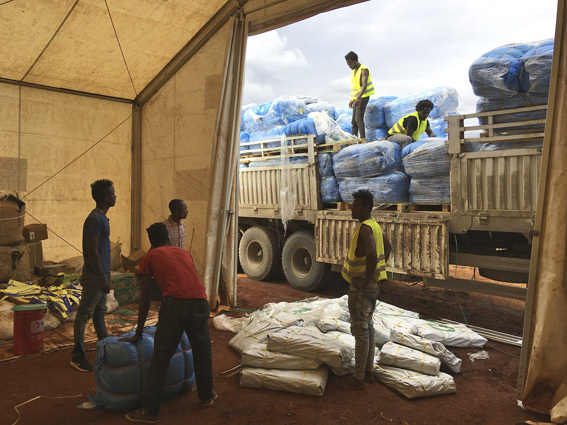 Fifty-seven families were provided with ShelterBox tents as well as blankets, mosquito nets, solar lights, kitchen sets, tool kits, water carriers and more. 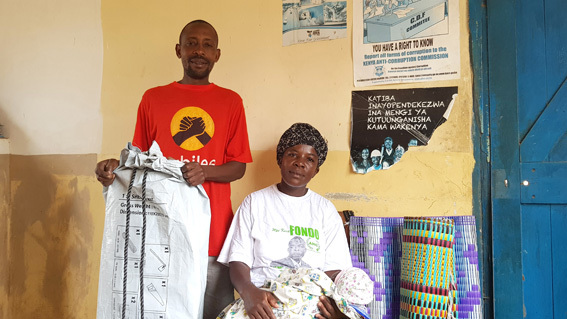 A further nine-hundred families received ShelterKits to start rebuilding their homes as well as blankets, solar lights, mosquito nets, and water carriers. The Rotary Club of Biliran Island was instrumental in the distribution of this vital aid, as their local knowledge insured ShelterBox could reach the most remote and most vulnerable families. Whilst this alone is a great example of how effective the partnership between ShelterBox and Rotary can be, responding immediately to disasters with high quality emergency shelter aid, on this response, we were able to take the partnership one step further. Workers building the Almeria transitional homes which they will live in. ShelterBox is currently busy in the Philippines once again, this time responding to Super Typhoon Mangkhut in Luzon. ShelterBox is a registered charity independent of Rotary International and The Rotary Foundation. ShelterBox and Rotary are project partners in disaster relief. As I write this evening, a horrendously powerful typhoon is heading toward the Philippines. By the time you read this, the people of Luzon region will be experiencing the terrible destructive power of the strongest storms to make landfall this year. Our Operations department has been monitoring the storm and has a Response Team mobilised and on standby. They have reached out to Rotary contacts in the region to understand how we can help quickly. We have enough shelter aid stored locally in the Philippines to help 2,000 families, but this is unlikely to be enough. I have been warmed by the generous response to our Lombok Appeal and would like to thank all those that have given recently; but the fact remains that, with Response Teams already active in seven countries, Typhoon Mangkhut is going to leave is stretched. This newsletter contains some great success stories, tales of hope and strength that wouldn’t be possible without the support of people like you. If you’re not in a position to give today, please tell your friends about ShelterBox, share our posts on Facebook and Instagram and share our vision of a world where no family is left without shelter following disaster. The disaster response in Lombok is being led by the Indonesian Government. We currently have a team of four in Lombok, including Australian volunteer and Rotoractor, Katelyn Winkworth. The team is working in partnership with local Rotary clubs, helping to run training sessions and assisting with delivering aid to families. So far, together with those local Rotary groups, we have helped 449 families across north and west Lombok, in over 80 dusans (communities). We are hoping to help many more families over the coming weeks. 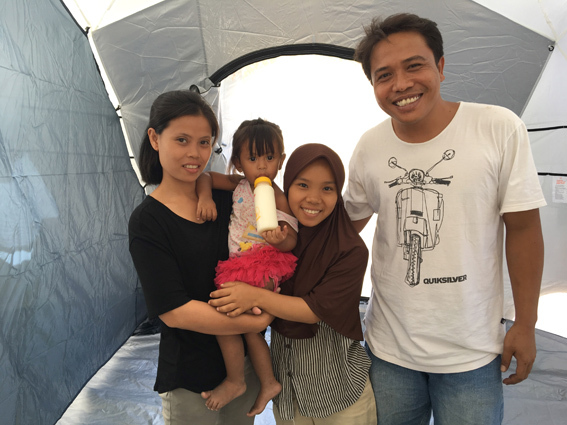 Maternity and postnatal clinics in west Lombok have also received tents. ShelterBox has a Memorandum of Understanding in place with the Kenyan Red Cross but strict government restrictions on the importation of single use plastics led to a delay in the importation of ShelterBox aid. Having repacked aid in Belgium and Dubai, a Response Team is now overseeing the importation and distribution of 2000 ShelterKits. To date 648 households have received aid in Kalifi. More distributions are due to take place in Tana River once the aid arrives. Inter-community violence in Southern Ethiopia has led to the displacement of hundreds of thousands of people. The influx of IDPs (Internally Displaced Persons) in some areas has nearly doubled population. Prior to the new displacement, this area was already one of the most densely populated parts of the country. Humanitarian needs are huge. Thousands of people are displaced into crowded and unsuitable collective centres in public buildings. Other people are sleeping outside, with little or no protection from the weather.​ Our team has been coordinating with International Organisation for Migration (IOM) to compile beneficiary lists for two proposed areas. They are speaking with community leaders, in those areas, to bring together plans for how to distribute the aid. ShelterBox continues to work in Cameroon, Chad, Iraq, Niger, Nigeria, Somaliland and Syria. Support the ‘ShelterBox Solution’ and help families who have lost everything to disaster. Please ………..
EFT: Westpac: ShelterBox Australia: BSB 032 189: Account no. 230 147 (please email sbaoffice@shelterbox.org.au to notify us of your donation and receive your tax receipt). Go the extra mile for disaster relief! 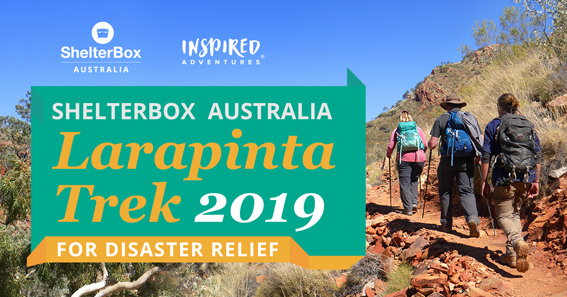 Join ShelterBox Australia CEO, Mike Greenslade on the adventure of a lifetime and trek the stunning Larapinta Trail in the Northern Territory. The Larapinta Trail is regarded as one of Australia’s premier walking tracks. From the old Alice Springs Telegraph Station to the peak of Mount Sonder, the trail stretches 223 kilometres along the backbone of the West MacDonnell Ranges. Over 5 days of trekking, you will cover 60 kilometres of this iconic track. Host a dinner party for people who need light in their lives! When disasters strike and power lines go down, families are left vulnerable, wrenched away from comfort and light. ShelterBox provides essential relief to people who have lost everything. Every ShelterBox we send includes solar lights that can brighten lives in the darkest hour. It’s easy to help. Just request a free Shine for ShelterBox fundraising kit and we’ll post one to you in time to plan your event. As you dine, you’ll be raising money to provide light and emergency shelter for families who need it most. 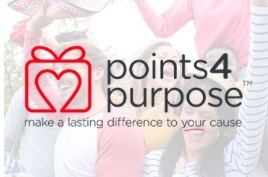 In partnership with Everyday Hero and Imagine Corporation, we are thrilled to present Points 4 Purpose. ShelterBox Australia supporters can earn 1 Velocity point for every dollar donated. All donations are tax-deductible too! To take advantage of this exciting initiative, simply go to the Points4Purpose page on the Velocity eStore and choose ShelterBox Australia when they make your donation.